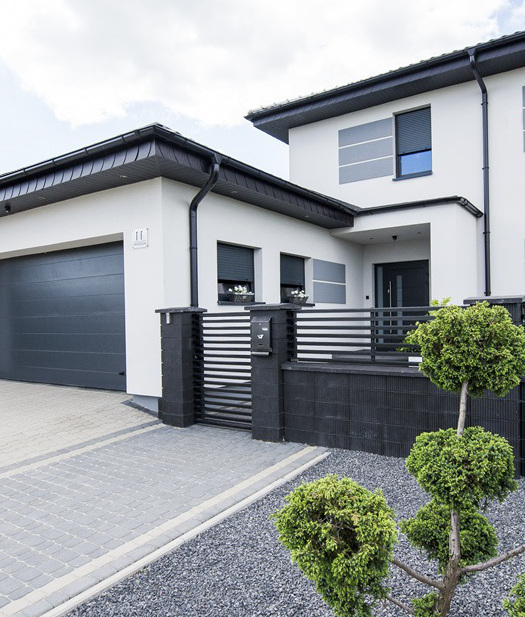 We are the leading producer of the highest quality garage doors, windows, shutters, entrance doors and products for industry. We have been operating in the market for almost 30 years. Since the beginning, our aim has been to create solutions adjusted to the customers’ individual needs. We have combined perfect quality, safety and flexibility. Our product offer has been increasing year by year to offer the customers comprehensive equipment for home. Today we are still determined and consequent to pursue our plans to approach customers’ needs and their vision of an ideal house. We have set an ambitious target to maintain the position of the innovation leader in our industry, both when it comes to products and the customer service standards. We have built state-of-the-art factories, with one of the best machine parks in Europe. We have been investing in the development and training of employees and retail partners for years. Along with our partners we have created a professional sales network across Poland and many European countries. Our Partners provide customers with professional consulting and give them the possibility of co-designing the products. We can say today that the effects of our work are based on combination of top quality, professionalism and customers’ vision. HOME – safe and comfortable space made of ideas and visions. For many of us this is the most important investment in life. Our products are created for many years, bearing in mind individual needs of buyers. The products give the possibility making an ideal home. We want to construct solutions coming up to the most ambitious visions of customers. Comprehensive offer, compatibility of solutions. 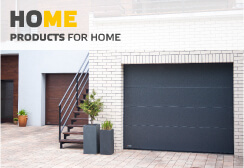 Not only do we manufacture garage doors but also windows, doors and roller shutters. Thanks to a broad offer it is possible to purchase ideally matching elements in one place. A wide selection of models and technological solutions in a comprehensive offer means great comfort and savings in terms of time and money. The colour, texture, dimension – no limits. The selection of any arrangements is possible thanks to a broad range of colours, different textures, decors and finish details. The virtual studio may turn out useful when designing. The quality, safety, warranty, professional service and consulting – anything will be possible. Customized and safe solutions of ideal quality are made in our factories. Professional consulting is provided by our sales netowrk. All products are covered by a uniform system of warranty and service. We will find together a tailor-made solution for your dream house. We have been taking care of the good cooperation with our business partners for years. 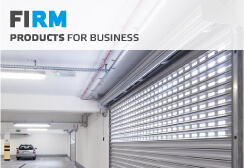 of the cooperation relies on technical and commercial support, development and trainings, effective distribution of products, sales materials and essentially the dialogue and individual approach. Łukasz Piszczek, born in 1985 in Poland, is one of the most talented players of the younger generation, and is highly respected not only in Poland, but also internationally, particularly in Germany. 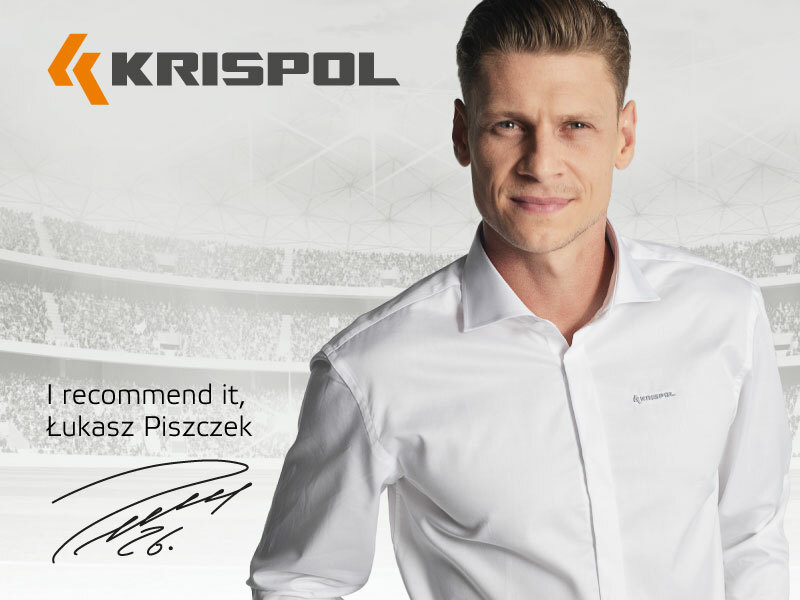 Łukasz Piszczek has been an Ambassador of products for home with the logo of KRISPOL since 2016. His attitude, both in everyday life and on the game field, fully reflects the values, which exemplify the KRISPOL brand. These are the principle of fair play, nurturing family values, safety and high quality, which together provide a guarantee of peace. – As a defender, I have been carefully deciding with whom to play with and whose goalpost I’m defending for years. That is why I am glad to have joined the KRISPOL team. I will support the “KRISPOL-guarantee of peace” campaign and market activities of the brand – Łukasz Piszczek said. At the age of 19 years, Łukasz signed a contract with Hertha Berlin, but was loaned for 3 years to a Polish club – Zagłębie Lublin. On February 3, 2007, he made his debut in the Polish national football team. Before the 2007/2008 season, Piszczek joined the team of the Hertha Berlin and on August 4 he made his debut in the German Cup match against SpVgg Unterhaching. On April 26 he scored his first goal in the Bundesliga in a game against Hannover 96, and in June was called up to Polish national team for Euro 2008, where he replaced injured Jakub Błaszczykowski. In 2010 he signed a contract with Borussia Dortmund, and won the German Championship in the season of 2010/2011. German journalists chose Łukasz to be the best right defender in the German Bundesliga. His career gained momentum in 2012 when Borussia Dortmund defended the title and won the German Cup in the best style. The Polish defender wrote a successful page in the history of the club. 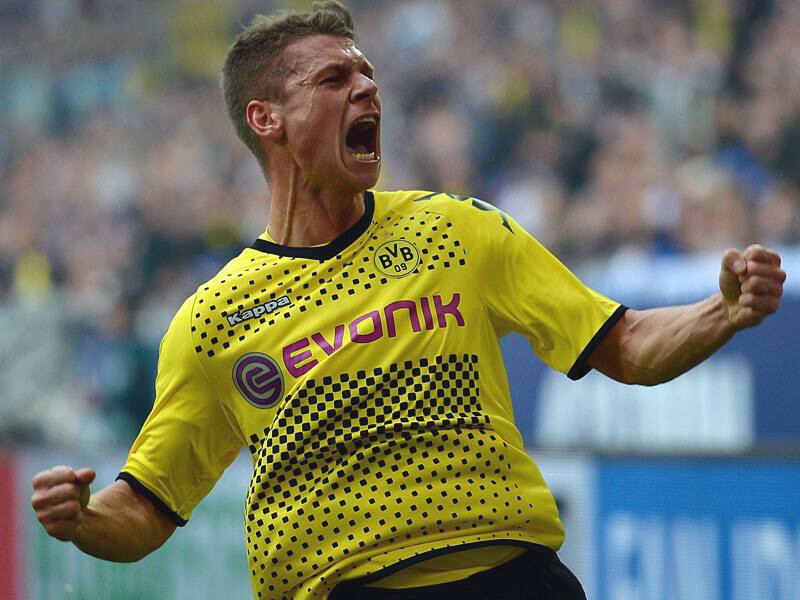 Unforgettable Borussia’s victory in two competitions allowed Piszczek to get the most valuable trophies in his career. Łukasz continues his career as one of the most talented right defenders in the world and is a pillar of defence of the Polish team. He had a successful performance during the EURO 2016, and is also an accomplished right defender of the Bundesliga, playing every day in the black-and-yellow colours of Borussia Dortmund. The promotion of sport has become our key identification over years. It is because sports ideally matches our organizational culture. It is based on similar values we have been following for years: activity, development, cooperation and fair play. We have been present at different events and sports disciplines, including volleyball, football, handball, racing sports. Since 2007 we have been the sponsor of male volleyball team APP KRISPOL Września. A long-lasting cooperation has resulted in the promotion to the second and then to the first league and further promotion of volleyball among local community. Building a company is like building a house – it requires the establishment of clear goals and consequent implementation of plans. We have been successfully doing it for years – we have been developing and helping other to develop too. We feel responsible not only for our business activities but also for our environment and the place where we develop. We support local community and many charities and initiatives contributing to the regional development. Our landmark is sport and active lifestyle promotion – both in our team and among our business partners as well as in a wider sports arena. A systematic and intense development of our company has been noticed and rewarded for years. KRISPOL highest quality products have also been awarded many times.